A little colour added to this truck makes a huge difference. 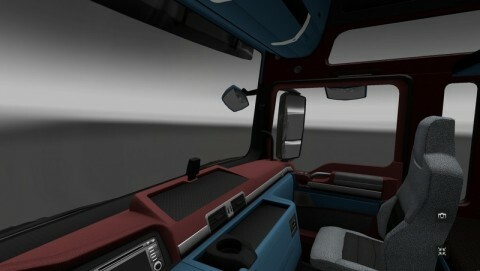 Mod changes the default colour of the interior lighting. 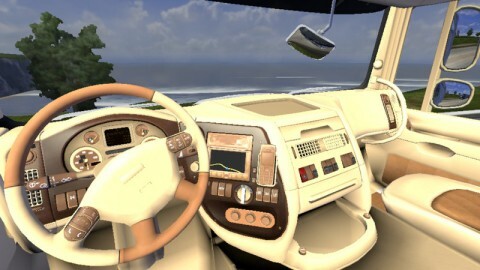 I myself once sat down and created an interior for all Mercedes Trucks. The leather is light brown and dark brown. If you want more interior mods then it tells me. Comments are welcome if they are constructive. Otherwise I will have to close the comment box! The mod must not be uploaded on any other page with the original Download link! 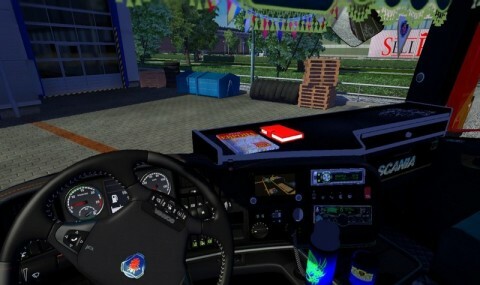 Description: Beautiful interior with accessories for Scania R 700 2 indoor visible to ETS and from the outside. I have here for you the leather interior for the DAF XF. The mod includes the standard version of a completely beledertes interior with light and dark accents. In the Exclusive variant, it is also a fully beledertes Interior is designed but brighter. The metal was covered with dark leather and makes a good impression. In both versions (Standard and Exclusive) the numbers and pictograms were white tightened in order to read it better in all gauges and switches. The ads now go all what yes the Mercedes was not the case. Suggestions for improvement I’m open. Comments? Not willing to relocate if they comply with the comment rules I have nothing against it. The mod can not be uploaded to other sites on not using the original Download links! Have fun with the mod wants you now. 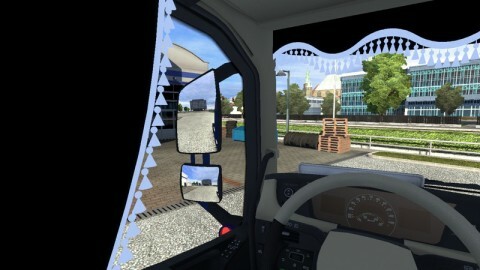 Interior for MAN TGX XXL (cab only XXL, on the other sticks out front curtain). Two types of trim: Default and my version (fully pereteksturenny + modified dashboard). Every detail of the interior is added as a normal shadow vneshke and inside. Cab (XXL) and 4×2 chassis also bake, but do not know how well). Authors 3d models: daf1 , Bambino, Roadhunter, K-SHOE, (the rest were not specified).